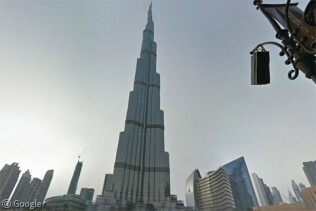 In September 2008 the still-incomplete Burj Dubai building officially surpassed the height of all other buildings, towers and masts worldwide, making it the tallest man-made structure on the planet. However, it wasn’t until yesterday that the building was officially opened, and we learned its final official height, an absolutely unbelievable 828 metres tall. 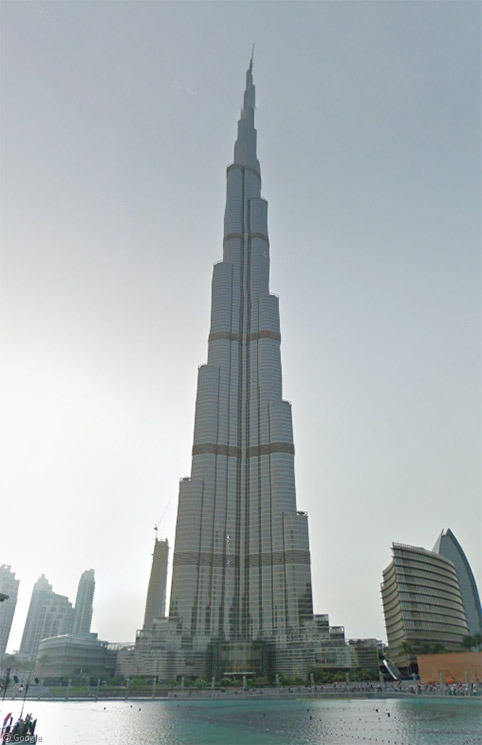 Also revealed yesterday was a new name for the building, Burj Khalifa. Dubai’s recent struggle with debt has been widely discussed, but last month Sheikh Khalifa bin Zayed Al Nahayan injected over £6bn into the flailing economy, and in return, the tallest-structure that man has ever built was named after him. Being the tallest structure ever built also means that the Burj Khalifa is the world’s tallest building, a competition which used to be broken down into four subtly-different categories. However the Burj Khalifa does away with all the categorisation by roundly beating everything else in every category. So what did all of this cost? No one knows for sure, but reports start around £925 million ($1.5 billion). Even the upkeep is going to be astronomical: consider that the tower’s glass and steel exterior would cover 17 football fields if laid out flat, and will reportedly take at least six weeks to clean. See our previous coverage of the Burj Dubai, the World’s Tallest Structures, The World’s Tallest Buildings and the World’s Tallest Towers. A 23 GP photo of this building. Not uploaded, mind you; the photographer loaded it into Photoshop and then made a movie of him panning around the picture – that’s how massive it is. Worth a look! Everyone seems to make a big deal about cleaning the exterior. Is it really such a big deal? I worked in the World Trade Center and it had an automated system for cleaning the exterior that basically ran on every nice day (didn’t run on rainy or too windy days). It was sort of like a carwash except the car stayed still and the carwash moved. so, who really cares ?? Is there any talk about A VAWT being put on top, or discussion about wind speed at that elevation. View this in google earth and check out the historical images. watch it deconstruct itself! hah.